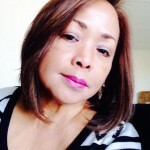 A retired teacher in Special Education, loves reading,author of children's book ,poetry writing,sketching,photography,cooking,gardening,jewelry making and traveling. My alarm clock buzzing and telling me to wake up from a short nap and so my brain asked me, to check the next prompt for 23 hours poetry marathon. And this bright and glaring sun rays penetrate through the bedroom window’s curtain and greeting me to a blessed morning. The sun warm touch, gave me the energy to continue my 24 hours journey. I could hear birds chirping and cheer me to reach the finish line of the marathon. it was a marvelous day, when I looked out of the window, to see people up on their feet and ready for a brand new day. Some were going to the park for an early morning walk and some to their church of worship. As if, I got 8 hours of deep sleep, instead of 20 minutes break from writing poems. Instead, I got a sun kiss from Mr. Sun. And it takes a lot of patience to go crabbing under the heat of a fiery sun. Yoy waited and waited but, the bait is gone and the crab had free lunch. who are expecting, you’ll bring home a big catch. And she deserve love and respect. And watch out, you can be hypnotized. Her beautiful eyes are impressive, she has a kindred spirit. The curve of her hips are gracefully swaying like a swan in a lake. She’s the Venus on earth and her Mona Lisa smile is very captivating and charming. And her long and shiny black hair is her crown glory. A perfect persona, magnetic and very appealing. It’s not a Botox, it’s more than a skin deep. and look delightfully delicious and glow even in the dark. and will make you radiantly healthy and naturally pretty. by, doing daily exercises, healthy diet and far more. its the attitude that resonate. A total overhauling of mind, body and spirit will do the trick. I walked through the woods on a foggy mountains with no where to stop. I begun to slow down and hid behind a humongous rocks. To save my life from those hungry scavengers. I didn’t know that it took them so long to stay close to where I am. I’ m brain dead now. Hallucinating from fear of death. Out of the cloudy mountain. In a pool of water cascading towards a small stream. Thinking my vegetable garden was badly damage from the flood. And went back to my kitchen to get hot water from my teapot. The steam from the pot touched my elbow and left a red mark. it warms my shivering body from cold after a cup of coffee. iI returned upstairs to get a warm blanket and noticed my children are intact in bed. Worrying about the tomatoes I have in my garden and are ready for harvesting. Lo and behold, some tomatoes survive the floods area, while the rest are left rotten. Picking ripe tomatoes are easy and it filled up my basket easily. A squirrel peculate and munching on my sweet tomatoes. mysteriously jumped inside the basket full of red and green tomatoes. Who was known for his beauty. The son of the river God Cephissus and nymph Liriope. And not realizing, it was just a reflection from the pool. Until he passed away with narcissism . Yes, i a Superwoman, married with children. i always wear a smile on my face to greet my day and you never hear me complaining. My bosom are big and so comfy to lean on. The softness can absorb all the emotional pain my family shared. I need to stay steong and brave to help my children face the realm of life. Yes, because, I am a Superwoman not only to my children but also to my husband who’s not into multitasking. A Superwoman, you never hear me complaining because, I care. Always with grace, even under pressure. Never get sick only occasionall headaches. With unkept hair and always wearing an old mommy jeans and over size sweater. Only blemished, dried and chopped skin. i bought them new clothes and shoes and forget about my needs. Whatever money left are for utility bills and miscellaneous family expenses. But never a poem was written except, a sweet note of inspiration. Inside the dark pocket, waiting to unveil the beauty of prose. I battled procrastination, the reason why I kept a journal. A reminder, that I need to keep on writing. Seating quietly for hours on my desk and suddenly I switched to reading a book instead. I was told to set a goal but, my brain doesn’t cooperate. Had I not been procrastinating, I should have done, what I have done. But, the last paragraph, caught me hanging. Can’t even invent a story to put a tragic ending to my novel. And set aside my goal instead. The journal I bought, contained doodles of flowers and hearts. Because, I was badly hurt. O what a gloomy night, the rain hasn’t stop and never run dry. Hoping to give way, to a warm gorgeous day. A rainbow appeared, a promised from above. While a magnificent red cardinal stop by, to cheer me up, while clearing the blue sky. Then, a bald eagle circling my perimeter, eying a family of hares and his eyes are keenly watching intently. The mother rabbits warned her babies and quickly hide inside their burrow. Quickly, they disappeared from the scene and from their prey. O’ what a lovely morning to start my day. While I’m having my breakfast a magnificent butterfly drop by for a chat. Her queenly and graceful moves, mesmerized me. As I watched her ate the crumbs of bread on my table, like an invited guest.